Subconsciously we tend to associate brands such as Adidas, Puma, Nike or Fila only with youngsters whose curiosity about the world gives them power to live and explore. Sounds familiar? And what about the group of people who already have the glory days behind them? Should they now wear only orthopaedic shoes? Of course not! And we have unquestionable evidence of that. Find out why seniors wear sneakers and how life-enhancing these shoes can be. Probably you have heard many times that age is not about how old you are but how old you feel. Ridiculous? Not really. Positive attitude to the world, well-being, vitality or the way you perceive yourself and others - it is all in your head. Fifty-year-olds who are far away from the stagnation and dwelling on the past years are perfect evidence of that. Today's 50, 60 or even 70-year-olds do not want to be perceived as dreary and old anymore. So what do they do to prevent it? Well, they tattoo their hands, do yoga, take up exercising or healthy diet and above all… they buy sneakers! It has been known for several seasons now that sneakers became the most popular shoes in the fashion world. They are often a favourite choice of athletes, influencers, directors of well-known companies or models. In a nutshell, everyone loves them. However, it is impossible not to notice one specific and very important, yet a little inconspicuous group - seniors. Even though a couple of years ago it would be rather unacceptable, more and more people aged 50 and more opt for these fashionable, comfortable and iconic shoes which very often are chosen also by their grandchildren. There are many reasons why young people choose sneakers. For some, it is just an interesting trend, others want to be up to date with current fashion and there are also the real Sneakerheadz who probably have it in their blood. Meanwhile, older generations who decide to choose sneakers do it mainly for one simple reason - they want to buy or in a way regain youth. Although it may sound as something abstract, there is a method in this madness. Let’s go back to the times when our parents and grandparents grew up - back then sneakers were kind of a luxurious and unaffordable good. Therefore, the vast majority of teenagers at that time could only dream about buying and wearing these shoes. In the modern world everything is easily accessible and fashion is for everyone, so our parents or grandparents have the opportunity to turn back time and in a way make their childhood dream come true. Today’s teenagers do not wonder whether it was difficult to get sneakers thirty or fifty years ago. But people aged 50 or more know that and this is why having the possibility to wear comfortable models from Nike, Vans or Adidas is an important and appreciated aspect for them. 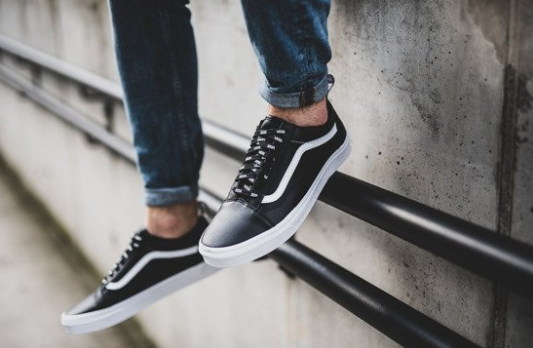 Let's take a closer look at the Vans Old Skool model, whose name itself denotes how iconic these shoes are. 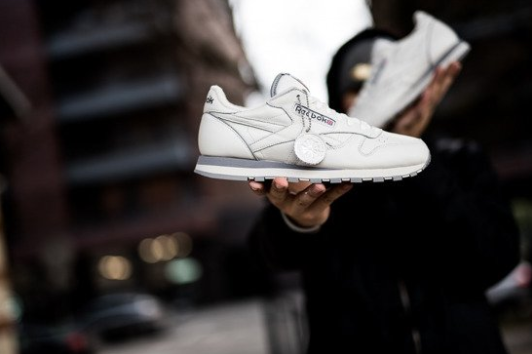 The sneakers which triumphed in the 1970s were the best option for skateboarding fans and back then have already become a permanent part of the fashion canon. It is hard to say which of the elements appealed the most to customers. A wafer sole made of rubber? Iconic stripes on the sides? Suede elements on the upper? Or maybe the combination of everything? One thing is certain, this model has become a true legend which reminds our parents and grandparents about their youth and memories. 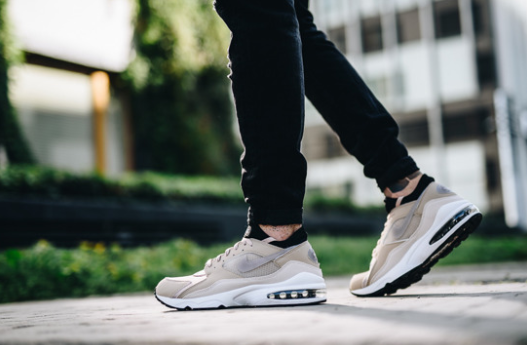 The ageing society and sneakers - what do they have in common? Let’s have a look at the data and statistics to fully understand the phenomenon of the elderly people’s approach. Changes regarding fashion and people aged 50 and more are also caused by one important factor - the population ageing which can be observed in most countries, including Poland. According to GUS (Central Statistical Office in Poland), the average life expectancy of seniors in our country is currently 65 years, whereas in the 1950s it was only 47 years. Consequently, the Institute of Food and Nutrition came up with the Healthy Eating Pyramid and physical activity programs for the elderly. This pyramid is simply a set of recommendations that should improve the quality of life of a mature person. And now sneakers go into the action as for seniors they are a reliable tool which facilitates active lifestyle. What footwear would be better for a morning training than Reebok Classic Leather 1983? After all, time travel is a compelling experience, especially when the reliable sneakers are concerned. According to a survey conducted by the Credit Reference Agency, as many as 44% of senior respondents feel 11 years younger than their actual age. Most of them prefer spending time in an active way, taking care of the garden, playing sports or looking after their grandchildren. So when you decide to lead such a lifestyle you need to bear in mind that only comfortable and solid footwear can meet this challenge. And here again we come back to the reliability of sneakers and this time we are going to focus on the New Balance 574 model. Majority of the sneakerheads probably already know why this particular model was used as an example. Thirty years ago, New Balance 574 were chosen the excellent running shoes because they were (and still are) reliable, solid and they capitally reduce shocks while running. Nowadays, apart from being great running shoes, this model is perceived as a real icon of style. When in 1988 New Balance 574 conquered the market, not every 50 or 60 year old could afford to buy them. Moreover, many people did not even dream about the sneakers due to other priorities or preferences. However, today it looks slightly different because vast majority of society puts the emphasis on a healthy lifestyle. 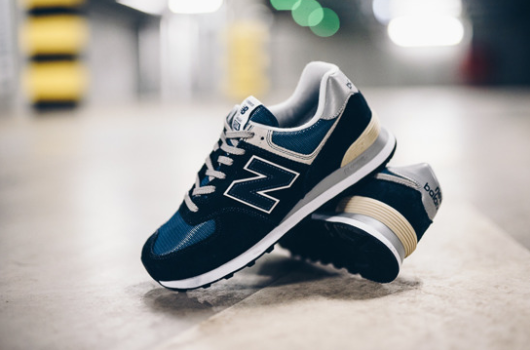 Older people are not ready to give up their everyday activities and while searching for perfect shoes they choose New Balance 574 as they have been familiar with this model since their youth. Many people in their maturity openly admit that it was only in their forties, fifties or even in their sixties when they really started feeling alive. Such groundbreaking moments in life are usually a consequence of unpleasant or difficult experiences which are unavoidable in the modern world. However, after a closure there is always a new beginning and this is something beautiful about life. Being open-minded at a mature age requires great courage and strength. These in turn need proper support. You can do tattoos and even take selfies on the Empire State Building. In this case, it doesn't really matter what you are doing, it matters what you are wearing while doing it. Today's 50 year olds and their older friends are well aware of the fact that nothing will "rejuvenate" them like comfortable, casual and fashionable sneakers. The lifestyle of modern seniors slightly differs from that years ago. Moreover, we can take the risk and state that in a few years we will also be witnessing a completely different approach to life. Think about it, when you imagine yourself as a grandmother or a grandfather you certainly see yourself wearing Nike shoes. The only question is whether these are the comfortable Nike Air Max 93 or the classic 90. It is high time to stop theorizing. Now it is time for some specifics, meaning living proof that sneakers are not designed only for the young generation. Let’s have a closer look at the wardrobe of our idols, role models and trendsetters. We are going to start from the very popular American music producer and rapper Dr. Dre and his collection of casual sneakers presented in the media a few months ago. Even though it may seem that this famous rapper does not have a lot in common with our parents or grandparents, the reality is completely different. Well, last December the musician celebrated his 53th birthday, therefore now we cannot really exclude him from the stars of the older generation. Moreover, we do not have to limit ourselves only to the music industry, let’s focus on actors and film producers. Harrison Ford, famous from many excellent productions is a perfect example here. Surprisingly, in July 2018 he celebrated his 76th birthday. Does he look his age? Not really. Because of the sneakers that he wears almost every day, nobody suspects that he is so mature! So are the sneakers suitable only for young people full of energy and crazy ideas? No, youth is a beautiful period in life, nevertheless it often leaves us with a feeling of nostalgia. Grown-up and experienced people are fully aware of it, that is why they are constantly looking for various solutions to fill the void. Thanks to the timelessness and universality sneakers are one of these solutions. Is it possible to buy youth nowadays? 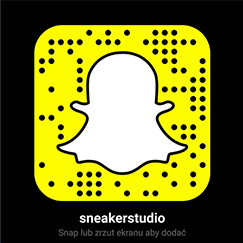 Sure, just visit our online store at sneakerstudio.pl!